Liberté is a distinguished and well-recognized landmark in the Eau Claire district. Built in 1999 by Bosa Development, this condominium features a unique, eye-catching architectural design. 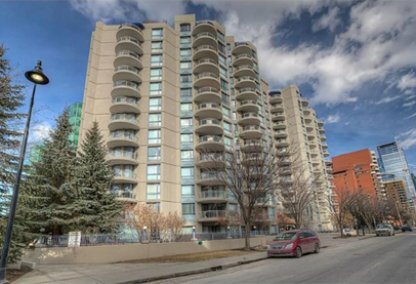 This development is located at 804 3rd Avenue, SW Calgary. 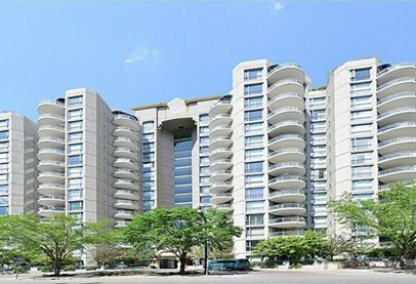 Liberté Eau Claire is a masterfully designed building that offers bright and spacious properties. The building stands at 15 storeys high and features 140 stylish condos. The expansive south facing windows offer natural lighting in the suites. Floor plans include one bedroom units with a den or two bedroom units with a den. In addition, buyers can also choose from a few penthouse units, which are very spacious and allow homeowners to garden on their rooftop patios. All suites in the complex have superbly designed well rounded balconies that add to the glamorous look of the tower. Innovative triangular dimensions are incorporated in the suites' interior design. Read more about the amenities at Liberté Eau Claire, or view all Liberté condos for sale below. The design of the Liberté is fresh — nothing like other structures in Eau Claire. The 5th, 9th and 13th floors feature crossover floors with gorgeous glass walkways. High speed elevators are on hand to take residents to various levels of the building. For additional security, access to all floors via the elevators comes from an electronic elevator key. The main entrance to the building features an elegant lobby. The fully-equipped exercise room on the main floor provides a great workout area. There is also a tennis court, social room, assigned lockers, heated underground parking, and gas fireplaces. If you're looking for a beautiful building and great investment opportunity, definitely consider Liberté Eau Claire. 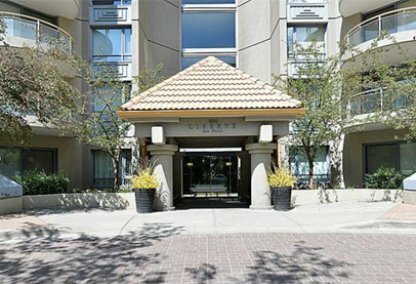 Liberté condos are within walking distance of numerous recreational facilities and everything that the downtown core has to offer, including being located near Prince's Island and the Bow River. This is a great place for professionals who need to commute to downtown. An easy stroll or a bike ride gets one downtown within a few minutes. To arrange a property showing at Liberté, or if you have any questions about this development, please contact Justin Havre & Associates.